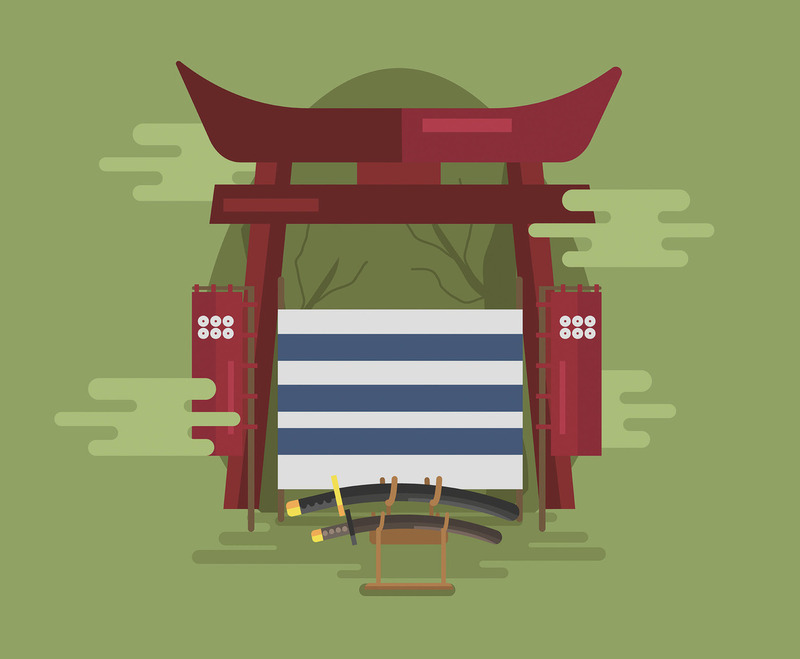 This illustration depicts two katanas on its stand, placed before a red torii (a traditional Japanese gate). I hope it's useful for your design projects. Enjoy!